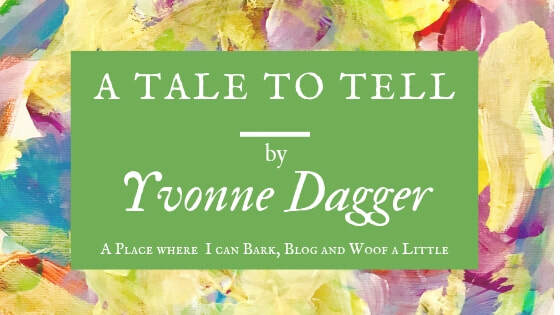 DAGGER DOGVINCI "THE DO GOOD DOG"
Dagger's story is simply tail wagging. He was born to do amazing things, but how amazing nobody could have ever imagined! As a puppy, Dagger was learning to be a Highly Trained Assistance dog for Canine Companions for Independence until his release from their program. Like so many of us, Dagger experiences small daily fears…to be a Service dog you must be fearless. But, without hesitation, Dagger's Puppy Raiser's -Yvonne and Denis- jumped at the chance to adopt Dagger. As an artist herself, Yvonne would paint in her studio as Dagger sat faithfully watching her paint. Then one day, as Yvonne was painting at her easel, Dagger approached her nudging her with his snout. Jokingly, Yvonne asked Dagger, "Do You want to paint?" 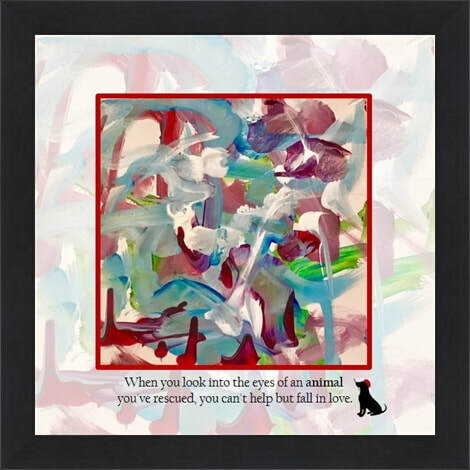 His tail began to wag and DogVinci was born! Dagger's journey as a Service dog was to assist one person…but, fate had something different in mind and now he assists 100's raising over $70,000 to date for charity! We hope you enjoy the site…WOOF! !